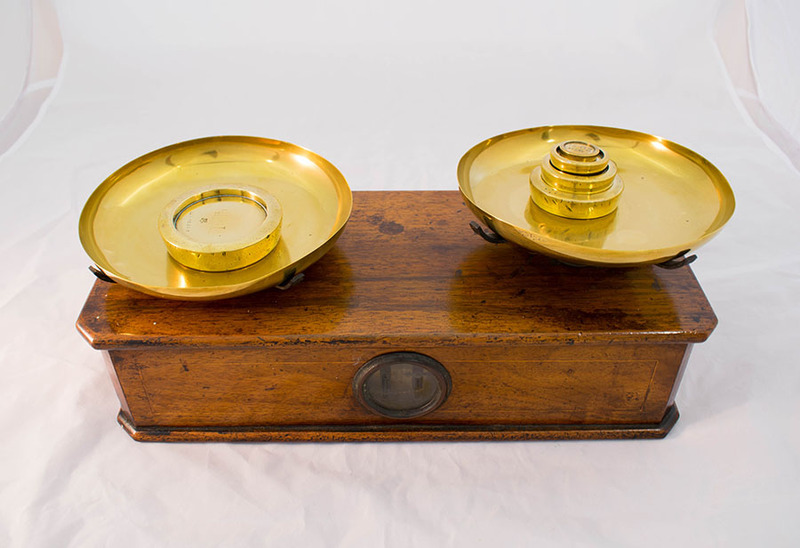 Pictured here is a set of brass apothecary scales used to measure ingredients for medicines. 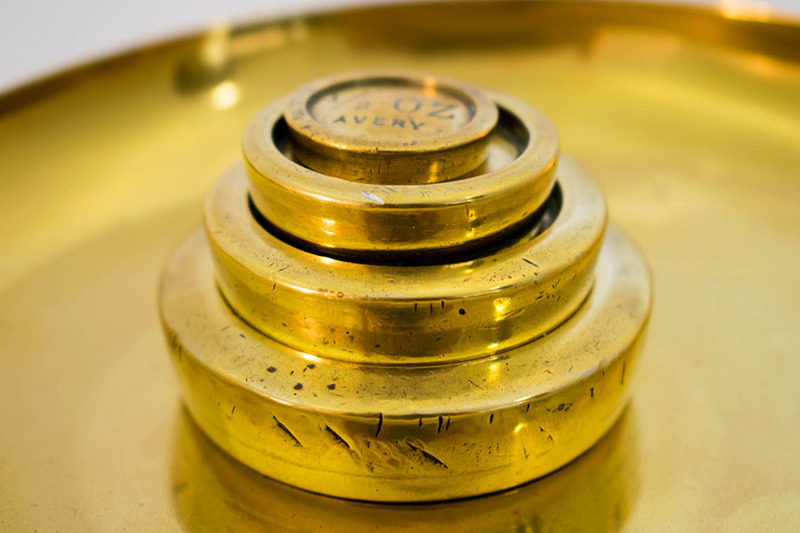 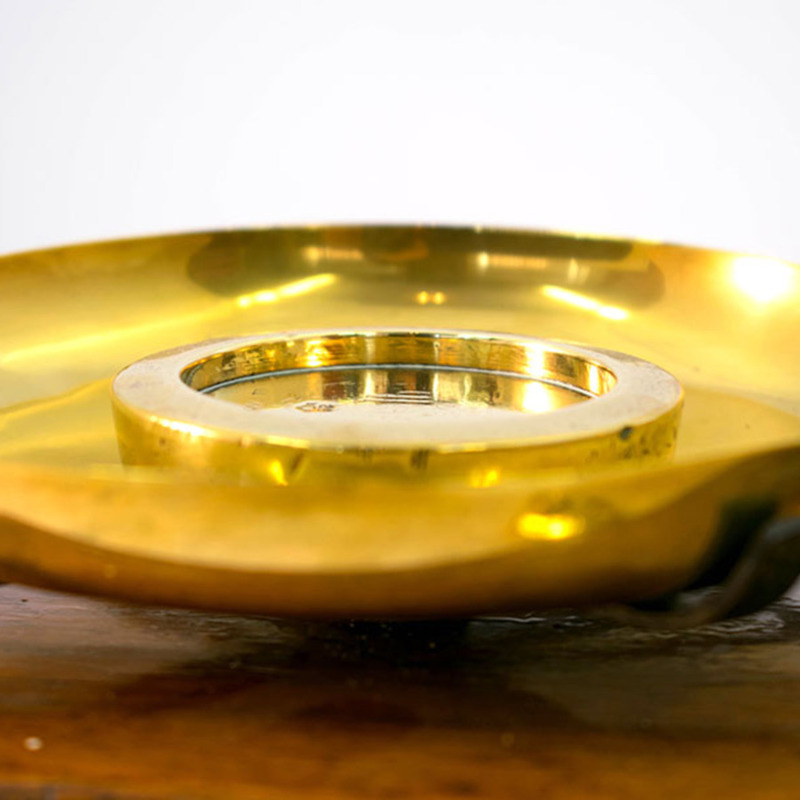 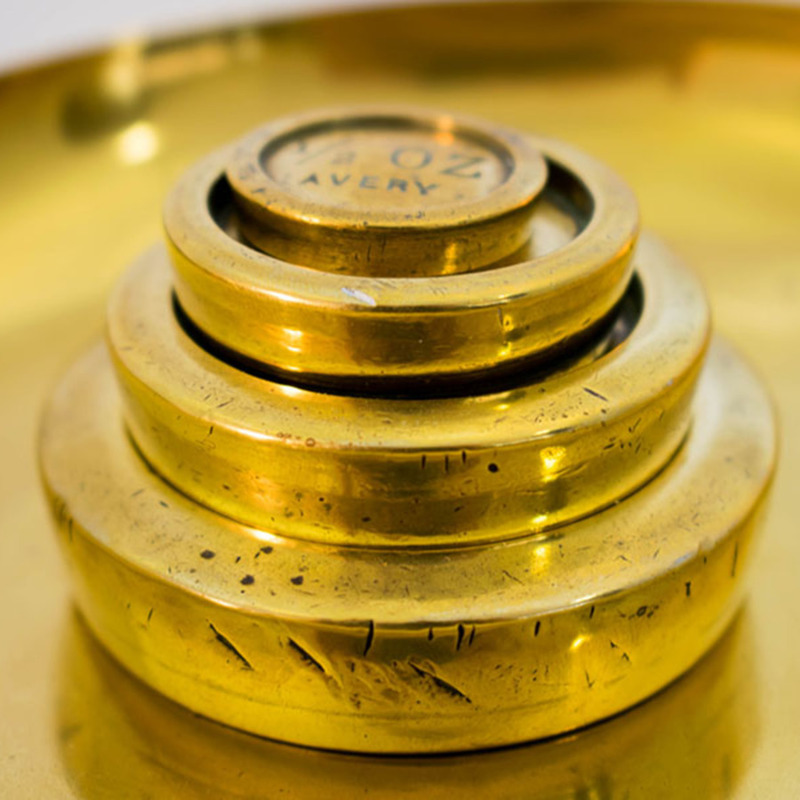 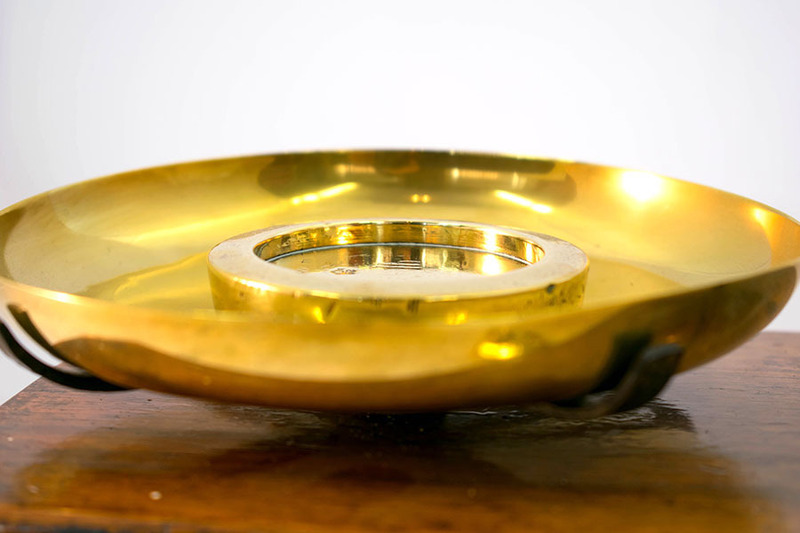 Avery Ltd., “Apothecary Weight Scales,” Heritage, accessed April 23, 2019, https://heritage.rcpsg.ac.uk/items/show/96. 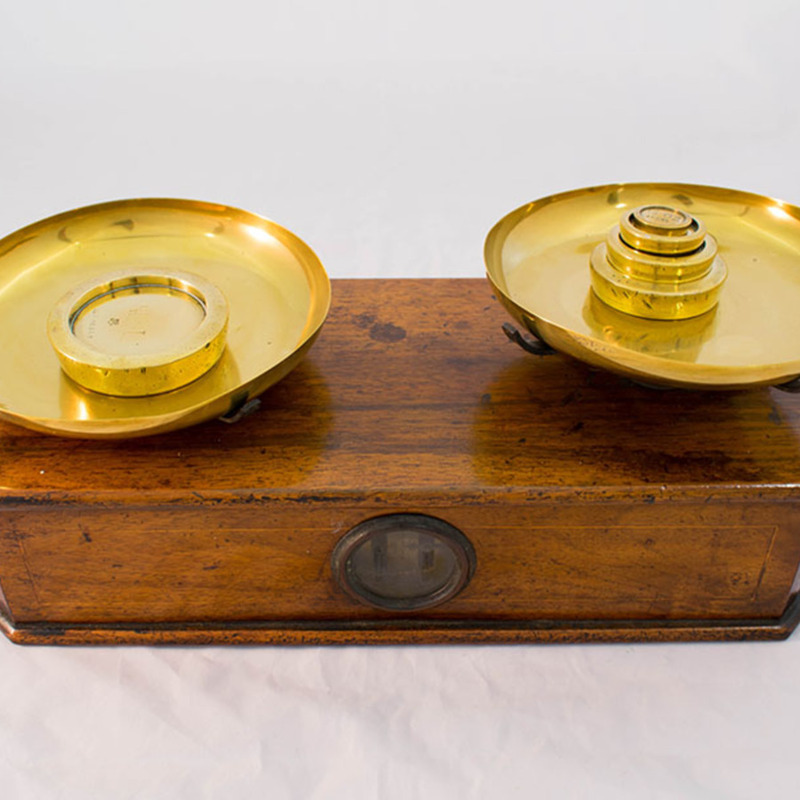 Description: Pictured here is a set of brass apothecary scales used to measure ingredients for medicines.